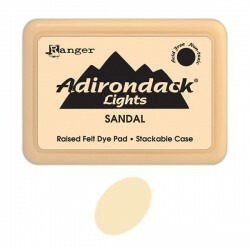 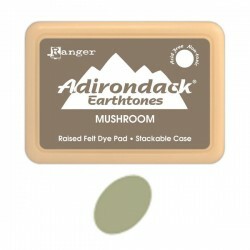 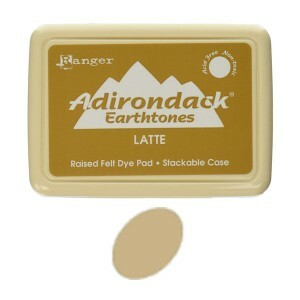 Latte Adirondack Alcohol Ink Pad by Ranger. 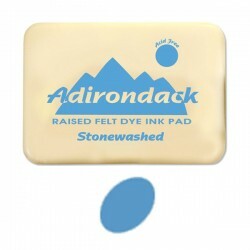 Acid-free, fast drying transparent coordinating dye inks specially formulated to create a colorful, polished stone effect. 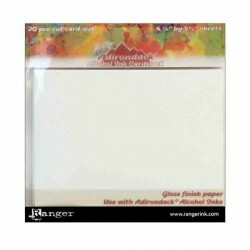 Use on glossy paper, dominoes, metal, shrink plastic, glass, and other slick surfaces. 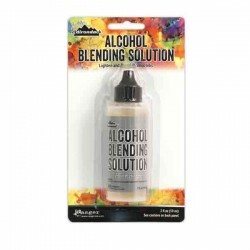 Alcohol Blending Solution (seen in the “You May Also Like” section below) is available for lightening colors and cleaning inks from non-porous surfaces.